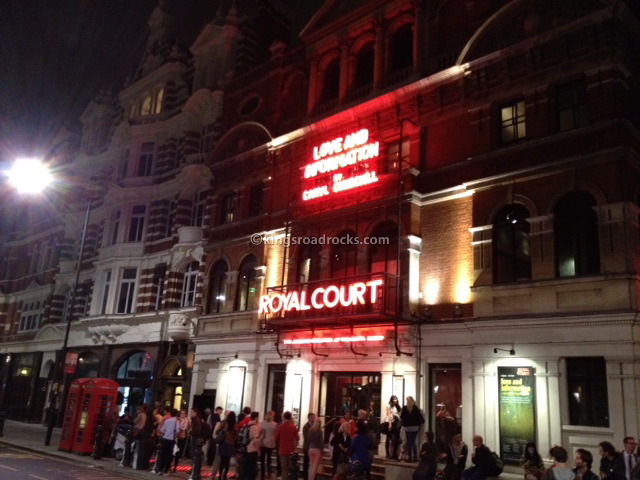 It had been a while since I visited The Royal Court and last week I decided to head back for the preview of Love and Information, written by Caryl Churchill. When I booked my ticket, I wasn’t sure what to expect in terms of plot or characters. The video on The Royal Court’s website evoked a sense of fragmentation in the narrative and didn’t give too much away. But I wouldn’t call it blind faith that convinced me to purchase my ticket because in my eyes, Caryl Churchill is the most prolific British female playwright around. Forgive me if I have forgotten someone obvious but whilst studying theatre, it was Churchill’s female voice that rang out to me. Today Churchill’s voice is still as strong as ever and at the age of 74 years old she hasn’t lost her sense of humour. Love and Information is 50 scenes, divided into seven parts plus an epiologue. Each scene explores the dynamics of a relationship where love is either examined or questioned through the revelation or the holding back of a piece of information. Sometimes the scenes are touching or thought-provoking but for the most part, they are hilarious yet truthful. And as hinted in the promotional video, the narrative is episodic and the scenes are not related to each other. They are random moments in 100 random people’s lives, played by 16 actors, that we have managed to capture albeit very briefly. 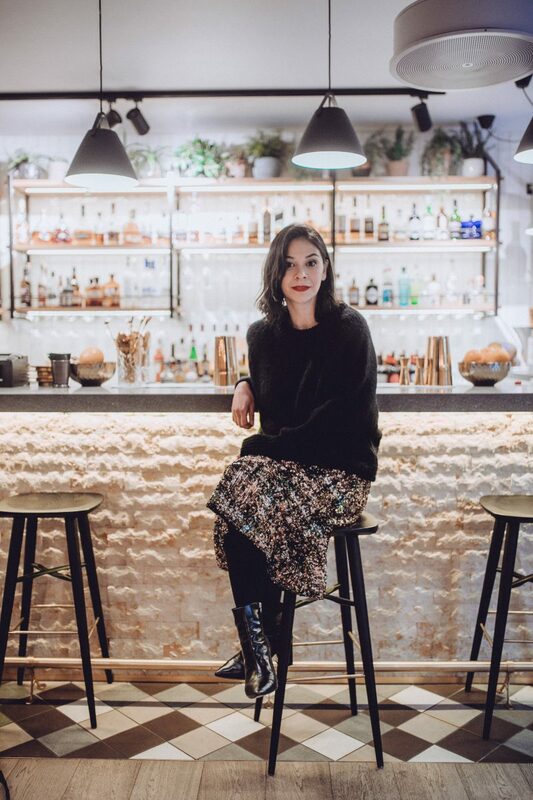 Normally Churchill’s plays can provide hard hitting left-wing blows with her political messages but in Love and Information, Churchill seems to be having more fun with her characters – even at those she pokes fun at. At just under two hours, with no interval, the pace may have lagged towards the end of part six but as I started to realise that the evening was soon coming to an end, I sat back to soak up the wit and insight that Churchill was ready to throw at us in their bite-sized yet very entertaining chunks. And as I stepped out of the theatre and onto Sloane Square, I could honesty say that Love and Information was a fun night out which I would definitely recommend. Love and Information runs until 13th October 2012 at The Royal Court.